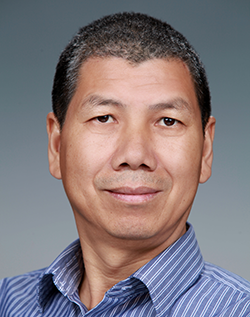 Jun Liu is ranked among the most highly cited scientists. Jun Liu is among the most highly cited scientists in the world, based on the 2016 Highly Cited Researcher list from Clarivate Analytics. Clarivate Analytics analyzed publication and citation statistics dating from 2004-2014, counting citations accrued when newly published scientific papers referred back to previously published research findings. The list features scientists whose citations rank in the top one percent within 22 subject areas. With more than 350 peer-reviewed publications to his name, Liu was recognized for important contributions in the subject areas of chemistry and materials science. He was joined by five other PNNL scientists on this year’s list, which includes 3,100 researchers across the globe. The complete list can be viewed on Clarivate Analytics' website. Liu’s research in chemistry and materials science encompasses materials synthesis, characterization, and applications—including energy storage. He currently serves as the director of the Battery500 consortium, which aims to significantly improve upon the batteries that power today's electric vehicles by almost tripling the specific energy in lithium batteries.